THANK YOU ADRIAN BOLZE FROM BOOKS OF ZIMBABWE. 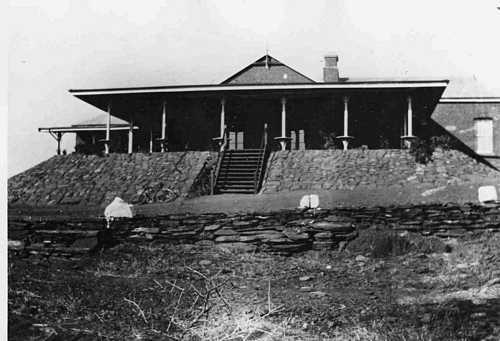 "I saw this photo of the Old Matopos Hotel, I assume they must have been taken it in the early 1900's. About 5 years ago (2003) when we were up there, all what was left - were the foundations, the locals had destroyed every thing, such a waste, not only was it of great historic value, but I recall in the bar there were excellent sketches of World War II army and Air force badges."